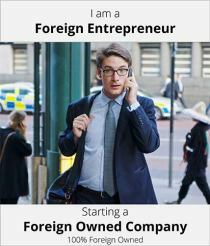 How Do I Register a Company in Indonesia as a Foreigner? Registering a company in Indonesia can be quite a challenging and complicated process for many foreign investors due many of its unnecessary regulations in the past. A majority of the regulations are also still published in Bahasa Indonesia which makes it difficult for foreign investors to understand. However, worry no more as here at Paul Hype Page, we consist of many experienced local Corporate Specialist which could help you out in your registration of a company here in Indonesia. There are only 7 main steps that you are required to do in registering a company here in Indonesia with Paul Hype Page. You must first determine as to what business fields would you want to invest in. You must check for the available business activities within the business field subject to the Negative Investment List. Click here to have a better understanding on the different types and requirements needed to comply for each company in Indonesia. It is a compulsory requirement here in Paul Hype Page that we do a Know Your Customer (KYC) process with you. With our ibizfile system, together with the assistance of Dow Jones, the process of conducting a KYC search is easy, effective, and legitimate. Provide us with all required documents, the following are the general requirement to form a company in Indonesia. Paul Hype Page will then help you register your preferred company through the lengthy and confusing registration process. The steps and timeline for the company registration process can be seen in the table below. You may then proceed to open a company bank account, rent or purchase property, staff hiring and obtaining work permits for foreign employees.